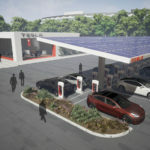 Yesterday, a post by John Voelcker of Green Car Reports noted that General Motors has no intention to invest in building fast charging infrastructure. He had been able to attend a meeting between the press and GM at CES last week. Several GM executives agreed, no support by GM to improve fast charging infrastructure. This issue is one of the yardsticks we should use to measure an automaker’s seriosity to embracing electric cars. No matter how wonderful the Bolt appears to be, by this measure GM is failing to demonstrate serious intent. 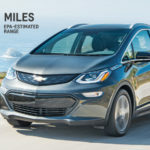 A long range electric car – the Bolt is supposed to be certified for a 200+ mile range by the EPA – needs public fast charging support. With that much range available it’s going to be awfully tempting to take it on real road trips. Real road trips require fast charging. A sufficient fast charging network considerably increases the value of a long range electric car. When polled, prospective electric car buyers want longer range, faster charging, and no price premium. In other words, success with long range electric cars requires sufficient fast charging infrastructure. The 200+ miles of range is way beyond what’s necessary for driving around an urban area. The primary utility of longer range is to take you on a trip beyond your urban area. That means fast charging along highways, with a 50 kiloWatt charging rate being the minimum acceptable. Voelcker pointed out to GM executives that Audi, BMW, Nissan, and Volkswagen have all announced plans to fund fast charging infrastructure. (BMW, Volkswagen a year ago, BMW, Nissan in December) Kia also installed fast charging stations at every dealership which sells the Soul EV. Voelcker then asked if GM would also step up to the plate, and commit to building the infrastructure. That’s pretty clear, GM doesn’t want to help build the infrastructure which would make the Bolt more valuable to their customers. Therefore, is GM doing this solely for compliance car reasons? That is, to build an EV to meet environmental regulatory requirements? It’s not that we, electric car buyers, need our automaker to give us free fuel. That’s ridiculous. It’s that the automakers who grok we’re in a transition from fossil fuels to electricity will demonstrate that understanding by funding the buildout of the infrastructure to replace fossil fuels. Let’s close this by pondering a couple points. GM last week also announced a deal with Lyft to develop self driving cars for an autonomous taxi service. 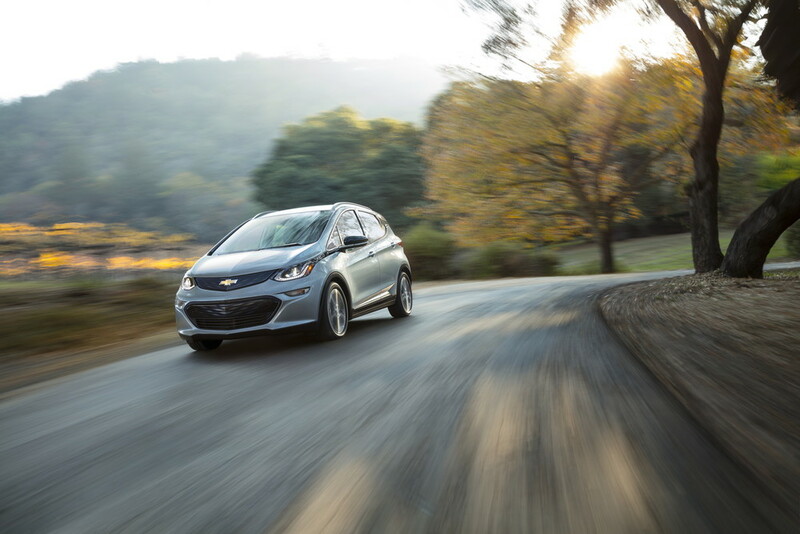 If the Bolt is destined for that service, then GM won’t see the need for fast charging infrastructure to support long range travel. If the Bolt sells well, perhaps GM will change its tune. If the customers speak up and say we need fast charging, perhaps GM will change its tune. Fast charging at dealerships is a suboptimal arrangement. The dealerships often put strange restrictions on charging station usage. It’s possible that todays 50 kiloWatt Combo Charging System fast charging will be replaced with something faster. That GM doesn’t want to invest in 50 kW systems, but will change their tune once 150 kW systems are available. There are existing Combo Charging System stations in the wild. Some of which are being funded by GM’s competitors. In theory the automakers should not be building refueling infrastructure. That should be a natural consequence of market forces. However at this juncture some bootstrapping of the electric vehicle market is still required. 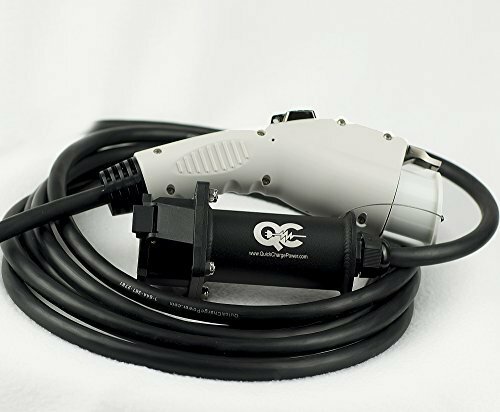 In theory the businesses already serving travelers along the highway corridors should install fast charging equipment. A restaurant would love to have a stream of patrons who’ll be sitting there for an hour while their car charge, yes? But there needs to be enough demand for that service in order to justify the expenditure on charging equipment. When faced with a chicken-versus-egg problem it is useful to go ahead and bootstrap the market. At the end of all this we have to face a question – which automakers grok the possibility of long range travel using electricity as the fuel? GM doesn’t seem to get it. 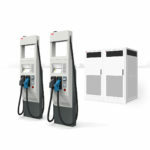 EV Charging, EV Charging Infrastructure, Fast Charging, General Motors. Bookmark. Do car companies provide distribution centers for gasoline and diesel that are consumed by the cars they sell? Why not? What is the business model? How about electric providers provide the means to distribute and sell electricity through electrical outlets on private property? Oh, wait, electricity is a utility, regulated in price by our governement as to the price per kwh that they can bill at. Do you see that as a problem, no free market distribution of electricity with supply and demand regulating the price of the commodity? Your business premise of expecting GM to provide infrastructure for cars is flawed, they are not in the electricity distributing and selling business. Do Air conditioner manufacturers provide for distribution of electricity that their products they manufacture use? Do you see the flaw in your thought process? I covered all those points. I suggested there’s a chicken-and-egg issue with jumpstarting the electric car market. Some other automakers are serious about that task, and have put $$’s into infrastructure. I do think that Tesla’s ownership of its Supercharger network is a flaw in the market. 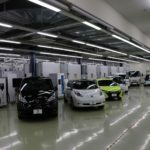 Why aren’t electric producing, and distributing companies coming forward? LADWP keeps adding CCS/ CHAdeMo chargers here in Los Angeles, in conjunction with GreenLots. This is a public utility… Private market needs to participate also, when there is a market for it. As it is now, people charge at home for cost per kw that the public distributors, with equipment, can’t compete against on a price per kwh basis..
There’s a history of curious policy around selling electricity. For example, in some places only utility companies can sell electricity, which is why in some states charging station fees are charged by the hour rather than kilowatt-hour. In California it took a ruling to allow charging station companies to sell by the kilowatt-hour. There was also a policy prohibiting electricity utilities from directly owning charging stations. There’s currently discussion underway in the CPUC about plans by some of the utilities to directly own charging stations. 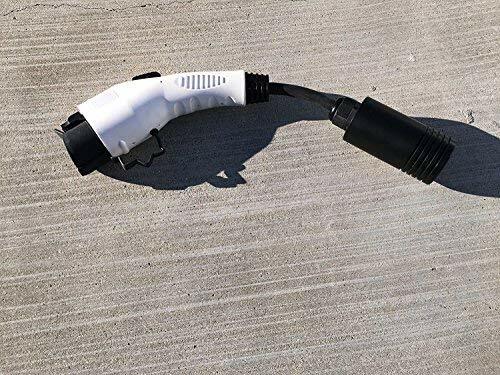 Other states apparently have different policies, because for example in the Kansas City area, Kansas City Power and Light recently built out a charging network including a bunch of fast charging stations. The price at a charging station has to be higher than the price of electricity. The station owner has to pay for a bunch of additional stuff, like the amortized capital cost of the station, station maintenance, membership fees in the charging network, and the cost of the parking spot. Well, then David, it’s not much different than when farmers get bulk diesel or gas fuel tanked in to the farm in 500 or 1000 gallon tanks that are gravity fed, and fill up at home for less than the local gas station on the corner. Until the costs are lowered and become competitive, what do you think is going to happen, and what businessman or investor in their right mind will forgo their greed and foot the bill for this to happen, without a decent return on investment? Pricing has to be competitive, the consumer can’t feel gouged, if the business model is to work and survive. When I can go to a quick charge CCS without worrying about it being down or broken, and add 80 miles of range to my 24 kw battery, call it 16 to 18 kwh for around $4 or $5, when I can add the same at home for at or under $3, only on an “as needed basis”, with just putting in a credit card and paying for what I purchase, instead of them billing me in $25 increments and holding my money and the interest they earn on it until I buy the electricity, then, and probably only then, will I start paying for quick charging. My time is valuable also.?.. that is another issue in and of itself, waiting around for 20 to 30 minutes to top off. Perhaps capacitor like batteries will become standard in the future, that fill up and charge extremely quickly? There’s a difference between refueling at home, and refueling elsewhere. That farmer getting bulk fuel is refueling at home (well, at the farm), not elsewhere. Operating the refueling station costs $$’s and that the business needs to recoup. I wonder where the price needs to be to provide business revenue without it being gouging. 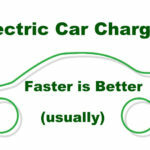 Charging time – is a function of battery technology. However, the higher the charge rate the more complicated the issues. 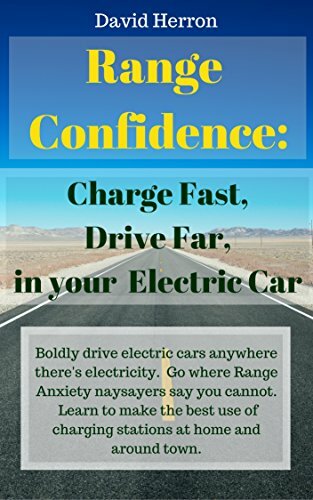 To do a 5 minute recharge of 300 miles range requires a 300 kiloWatt or more charging system. I base that estimate off the BUDD-e concept. The 50 kiloWatt stations face “Demand Charges” which are extra fees tacked on for high electricity demand bursts. At 300 kW demand charges should be even steeper. I think the way around that issue is positioning large energy storage units next to fast charging stations. It also means ultra fast charging systems are unlikely to see wide deployment any time soon. As Yoda says, “Do or do not, there is no try”. GM is deliberately foot dragging and showboating at the same time. Dragging on the quick charge standards… colluding with the other ‘slow to the game’ manufacturers from Germany and America on the CCS. (Which is a fine system but far behind in implementation) They need to create a subsidiary that champions a national network. GM in the past has been very evil and organized in the destruction of the streetcars… the crushing of the EV1s… so… when they are serious we all know it and they get what they want. Until they invest at least as much as Nissan in building out DC fast chargers they cannot be taken as seriously. Even 200 miles seems like a short range when your destination is at 300 if you have to wait hours to get that last 100 miles. That is usually intolerable. So… Tesla is doing fine to build out their network and keep it to themselves. Their new business model works. Prepaid electricity subsidized by solar installations that help them avoid demand charges. The other companies would be wise to join with Tesla rather on DC QC rather than trying to reinvent the wheel. If not then they better kick in some bucks to build a parallel network soon.